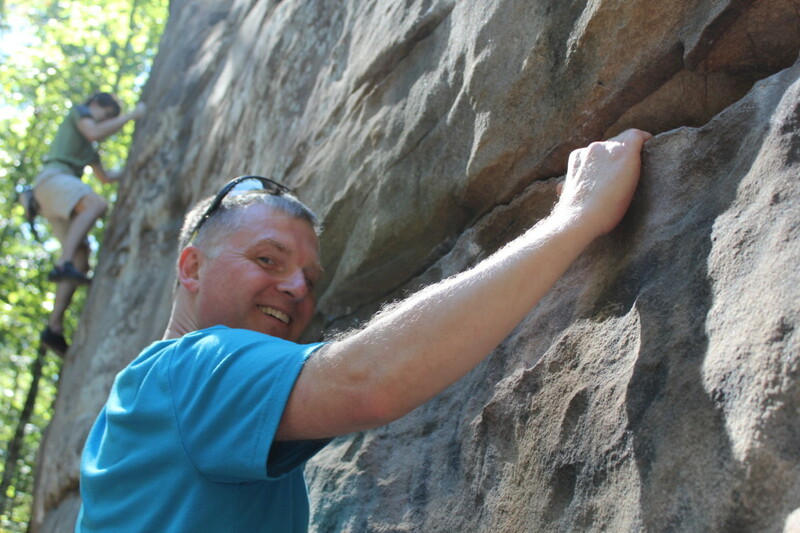 Tucked away in Hoover, Alabama is a small gem of a park, great for a woodsy stroll or for rock climbing. I’d say it’s a hidden gem, but it’s not. Locals pack the place on weekends! For good reason. 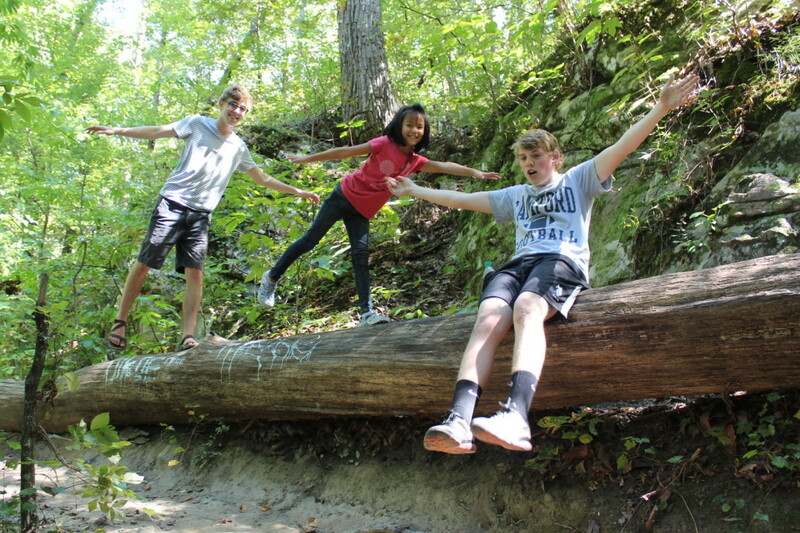 Moss Rock Preserve provides the Hoover community with a 350-acre nature preserve, flush with trees, waterfalls, and giant boulders suitable for climbing. Boulder Field, offering challenges for climbers of all skill levels, is particularly popular with park guests. Beyond the boulders, the park offers 1.2 miles of hiking footpaths, maintained by local volunteers, churches and civic groups. The park’s hiking trails are fairly natural. They are not paved. Rocks, tree roots and crevices caused by water run-off run through the trails. As such, Moss Rock Preserve is not accessible to those with mobility impairment or to strollers. On both my visits to the park, I saw families with young kids in hiking backpacks. The trails are not strenuous, though. 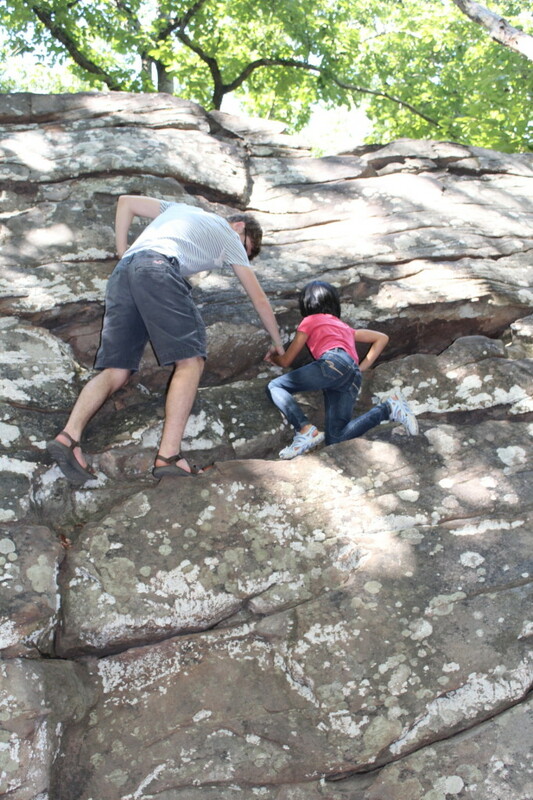 Young children can certainly navigate the trails with a handhold here and there. 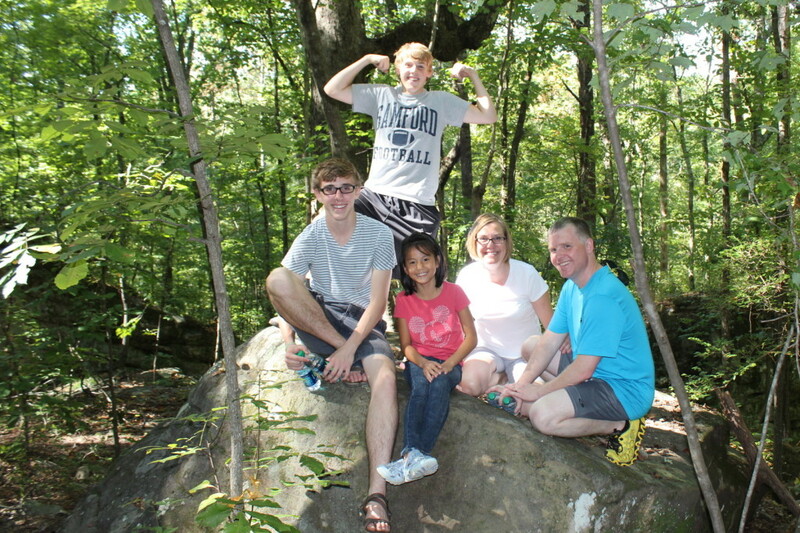 The most unique feature at Moss Rock Preserve is Boulder Field. An enormous field of giant boulders offer an abundance of climbing options for the adventurous — and the timid (me). My confident (and cute) hubby! What I like most, though, is that climbers here are friendly. More experienced climbers coach newbies through the climbing routes. They share climbing safety equipment, especially bouldering crash pads which are expensive. TA DA! She made it to the top! I was also impressed by the families climbing together. In this disconnected age, watching families work together to reach the top is so refreshing! “Pride Rock” — Ben’s a chicken. Hours: Daylight, 365 days a year. Parking and Access: Three parking areas provide access to Moss Park Preserve. 1. 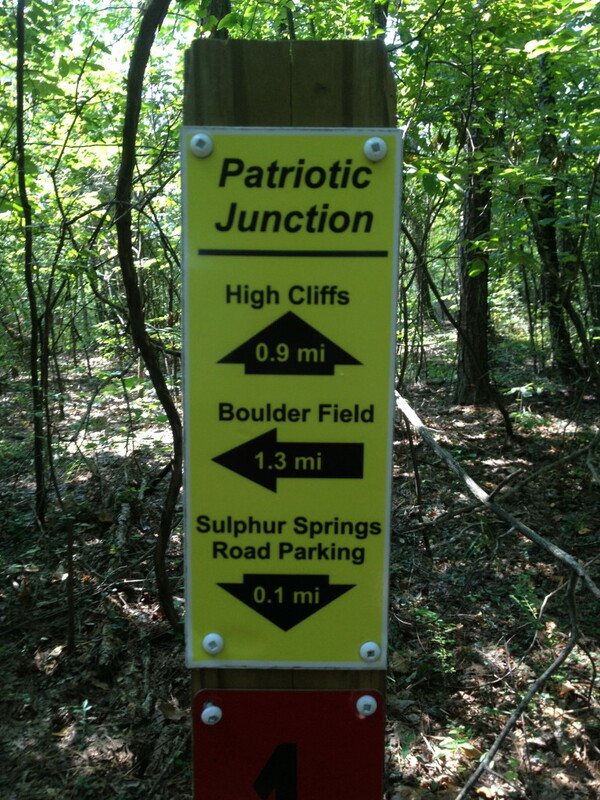 Boulder Field Trail Head (easy access to the climbing area): 617 Preserve Parkway, Hoover. 2. Sulphur Springs Road Gravel Lot Trail Head, 4600 Preserve Parkway, Hoover. 3. Simmons Middle School Lower Parking Lot Trail Head, 1575 Patton Chapel Road, Hoover. 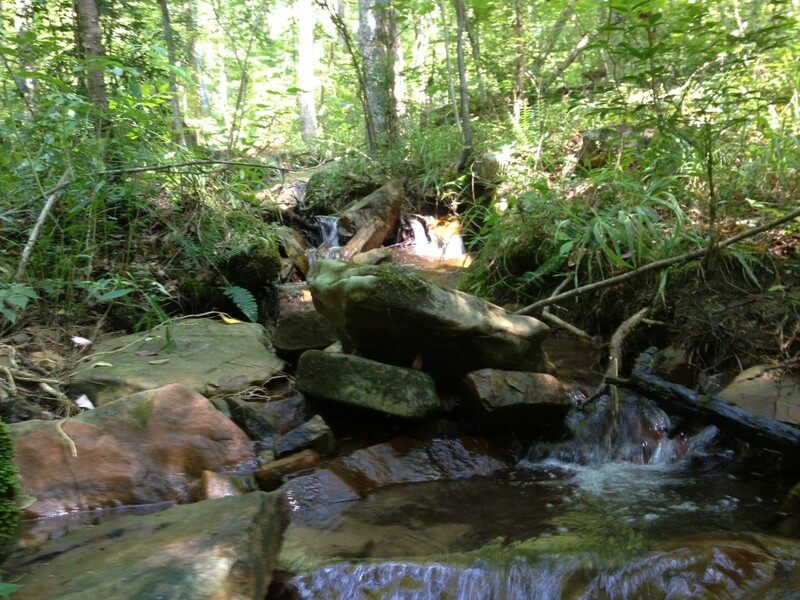 Hiking trails from this lot are more strenuous and can be quite dangerous after heavy rains. This trail provides the most stunning views of the preserve. 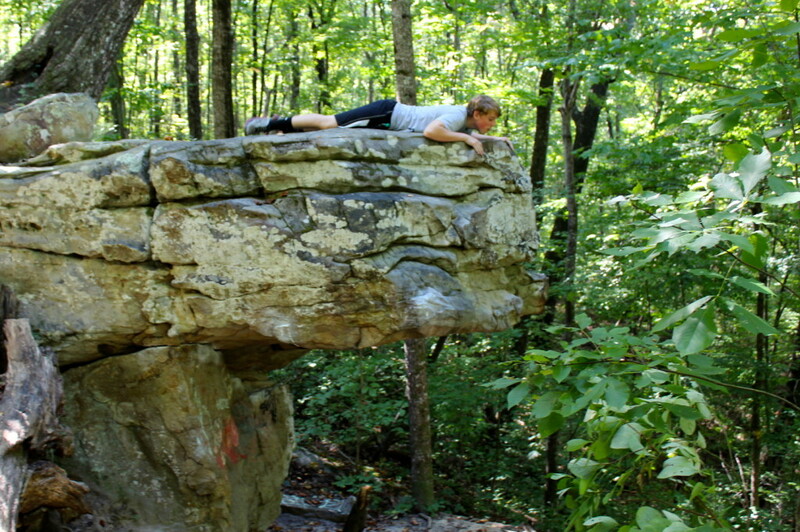 Rules and Regulations: Due to the dangerous nature of bouldering and natural trail hiking, use caution and common sense when visiting Moss Rock Preserve. Read and follow the rules posted at each trail head. And when you leave, please take your garbage with you! Finally, have fun! 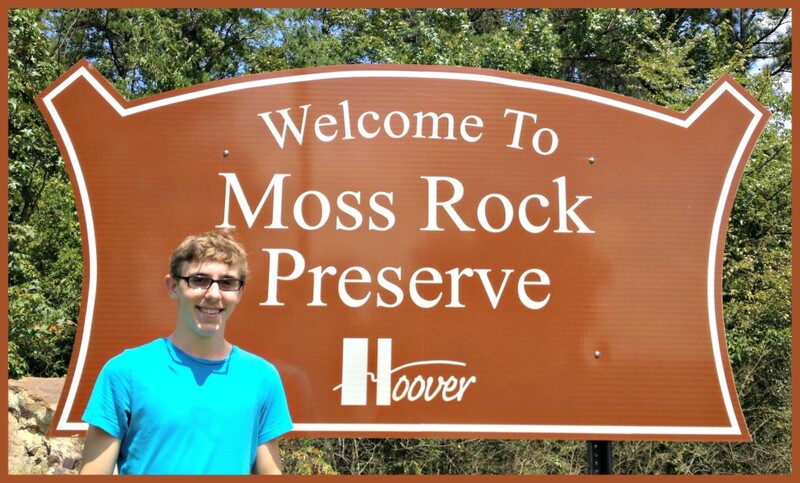 Whether you visit Moss Rock Preserve or another wonderful hiking trail, enjoy it! I got one in without him noticing! 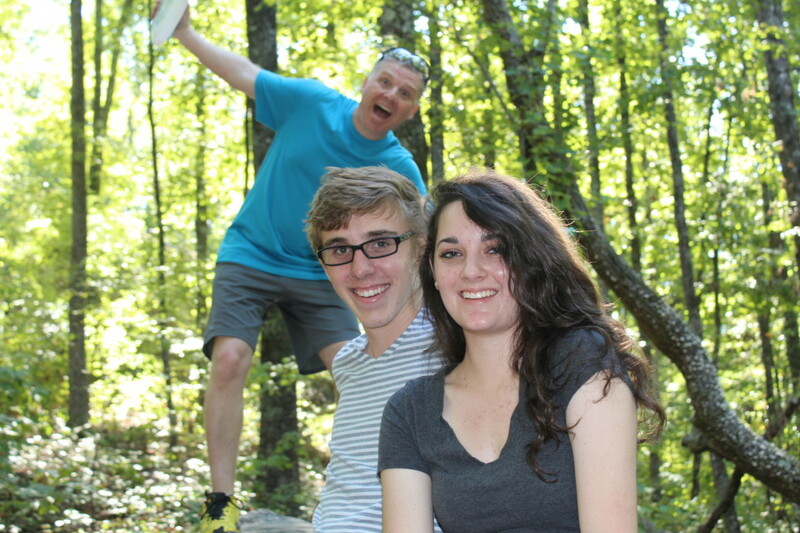 Trained by their goofier, photo-bombing dad! Let’s chat! Does your family have a favorite walking trail or other place you visit, just for the fun of it? Where? What’s your favorite thing to do? This looks like a place we would love to visit. Love your pictures. Thanks Kelly. It’s a fabulous park — definitely well-loved by the locals! Those are always the best. That looks like such a fun trip and such a fun place to visit. Very unique! Thanks for sharing! It’s worth a visit if you’re ever in the Birmingham area. Lots of fun! That picture of Pride rock is spectacular. All these pics are great! 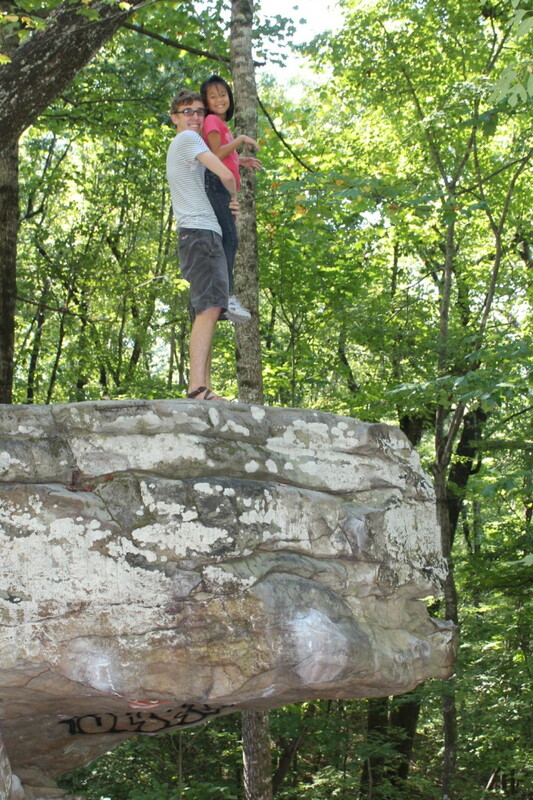 Can’t believe your hubby actually went rock climbing – impressive! Rob’s a daredevil at heart! Oh wow! This is exactly what I want to do with my son when he gets older. What a lot of fun! I know that when that time comes, I’ll be asking you! We’ll have to climb together! 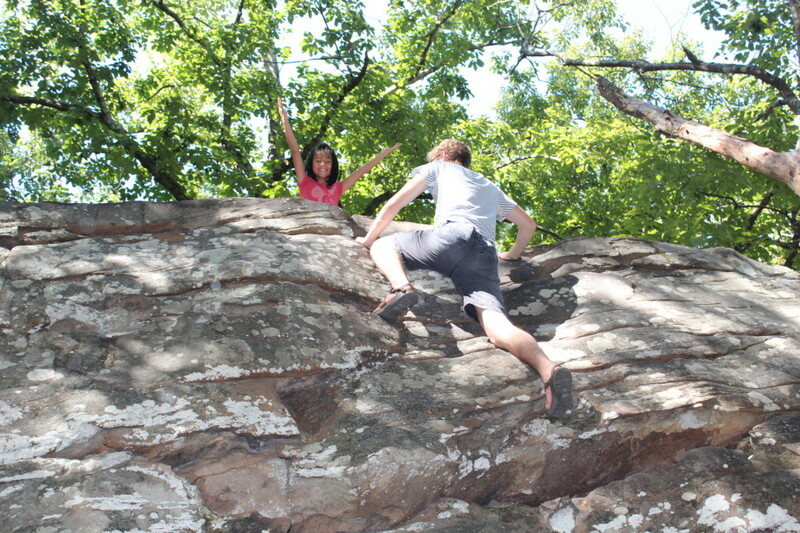 I would be too afraid to try rock climbing (see me flapping my arms like a chicken! 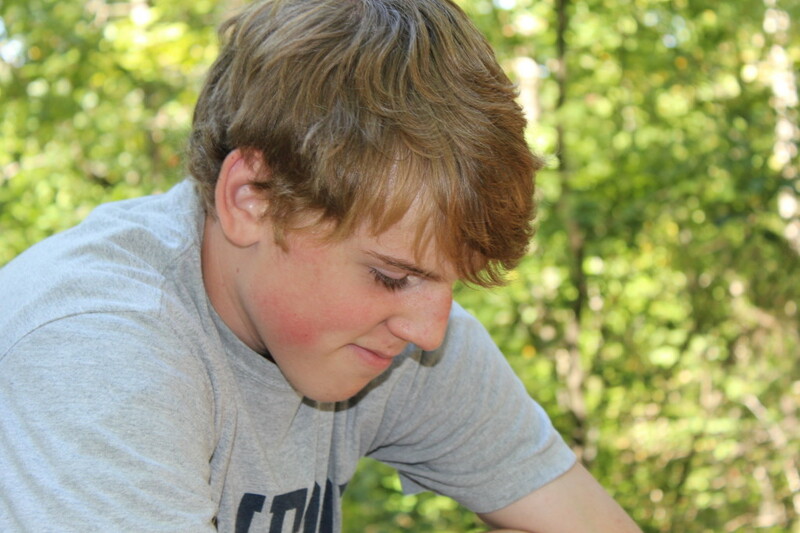 )–but I love hiking or strolling rather through wooded areas. Too bad I do not live closer to this one. It looks really nice. This is a nice one, especially for a small park. Very rustic though the paths are clear. I love your blog. As a parent of two young ones, we are always on the hunt for good tips for planning affordable and memorable vacations. I, like you, enjoy planning my own and avoiding the expense of a travel agent, and I was proud that we managed to plan our first Disney vacation a couple of years ago that we all enjoyed (our youngest was only a year old). I am also a NC blogger from Charlotte now but have lived all over the state. I am always on the lookout for other NC bloggers. I found you on the Owl’s Den NC Bloggers list. I am attempting to find a way that more of us can connect and share our stories about our great state, and I put together this blog for us to use to link up our posts each month to share happenings in our state. 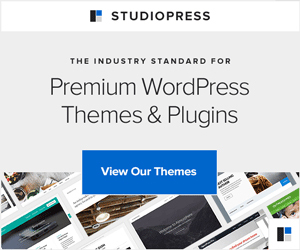 I would love it if you and any of your NC blog friends would join in. Thanks for sharing, NC friend! Interesting—I’m a chicken like Ben so I’m not sure it’s a place I’d be THRILLED to go to but I am raising two lil monkeys so maybe…someday. Your kids are so cute 🙂 Just looking at the rock climbing makes my hands sweaty lol. But I’d like going on the trails! Thanks!!!! Me too — I was a nervous wreck watching Ellie and my husband climb. I didn’t worry about the boys so much. I’m learning not to say no just because I’m a chicken, especially with Ellie. She’s a daredevil! Ha! I live in Hoover and have been wondering what this was, and where it is! I have heard about it, but after seeing these pictures, I am going! It looks like you all had a nice time, and I love that it is out in the woods! Alaina, you should go! The first time, we hiked from one of the gravel lots to Boulder Field and back. I didn’t take enough water (hot day), but it was still fun. I go prepared now!! !